Aaron DieCast Recoveries - On-Line DieCast model-supplies, Spares, for Toy Dinky, Corgi, Matchbox, Lesney, Spot-On, Yesteryear and Britains models (on-line shopping). BRITAINS and YESTERYEAR restoration projects. Simple payment facilities via Paypal or Credit Card. Amongst our many restorers, there are some who offer their skills to provide restoration support to others. Diecast Recoveries keeps a worldwide contact list of these but accept no responsibility for quality of work, and have no involvement in any transactions. To be added to the list, or obtain a confidential copy of the list, please let us know by email . We specialise in EXPORT support. 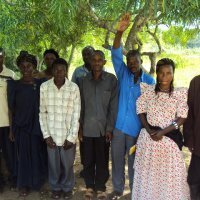 We support KIVA.ORG - A non-profit service with a world-wide mission to connect people to alleviate poverty.